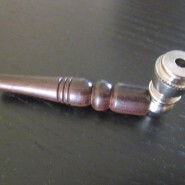 Home > Shop > Pocket fit wood smoking weed pipe. Pocket fit wood smoking weed pipe. Pocket fit wood smoking weed pipe 2 1/4" long. closed and 3" long open. free gift. Pocket pipes are easy to fit into your pockets with no any spilling. a good way to hide your pipe. keep your wood smoking pipes clean at all time. 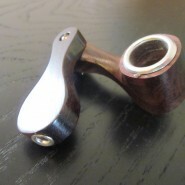 Wood bamboo head smoking pipe.